A 10 year old girl drowned to death yesterday in Coney Island, a popular beach in Brooklyn, New York. 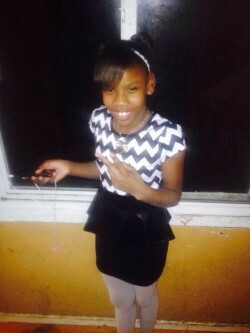 Takara McDuffy was playing with her 9 year old sister on a rocky jetty when they fell in the water. The accident happened after 6 pm. The life guards had left the beach. The two sisters were pulled out of the water by two young men who saw the accident and jumped in the water to the rescue. The sisters were rushed to the hospital but Takara couldn’t be saved and died. Her sister wasn’t injured. Unintentional drowning is the second leading cause of death among children under the age of 14 and African American children have a 3 times greater risk of drowning than Caucasian because many of them don’t know how to swim. Programs such as Asphalt Green and Swim Programs from NYC Park have been providing free swim instructions and water safety programs to help prevent drowning accidents. Several young people before Takara drowned to death since the beginning of the summer in New York. A 2 year old girl was found dead in Prospect Park Lake at the beginning of this month (see our previous blog). At the end of June a 21 year old student celebrating his graduation was swept away by the current after trying to swim in the East River in Williamsburg. A few days earlier two 13 year old cousins died after jumping in the Bronx River.